In case you missed the surprise video premiere of Kendrick Lamar‘s “King Kunta,” which appeared on jumbotrons in Times Square and at L.A. LIVE Wednesday night, the rapper has posted the official clip on his YouTube page. In the X-directed visual, Kendrick returns to his hometown of Compton, California to perform on the roof of a local swap meet. As expected, his entire neighborhood comes out to celebrate the rapper, who C-walks to his explicit single. 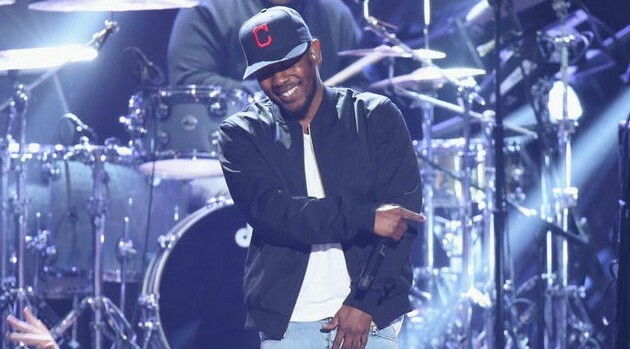 “King Kunta” is lifted from K-Dot’s latest album, To Pimp a Butterfly, which remains atop the Billboard 200 for a second week.